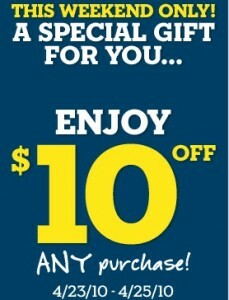 Aeropostale $10 off any $10 purchase! 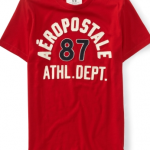 You are here: Home / Uncategorized / Aeropostale $10 off any $10 purchase! **Don’t forget to check out this post about the $10 off $10 JC Penney code to score more free or close to free stuff! Aeropostale Clearance Sale: save 30% off sale items! 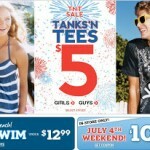 Get $5 tees from Aeropostale! 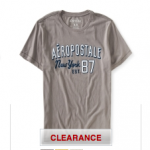 Aeropostale: get $10 off a $40 purchase plus save big during their clearance sale!